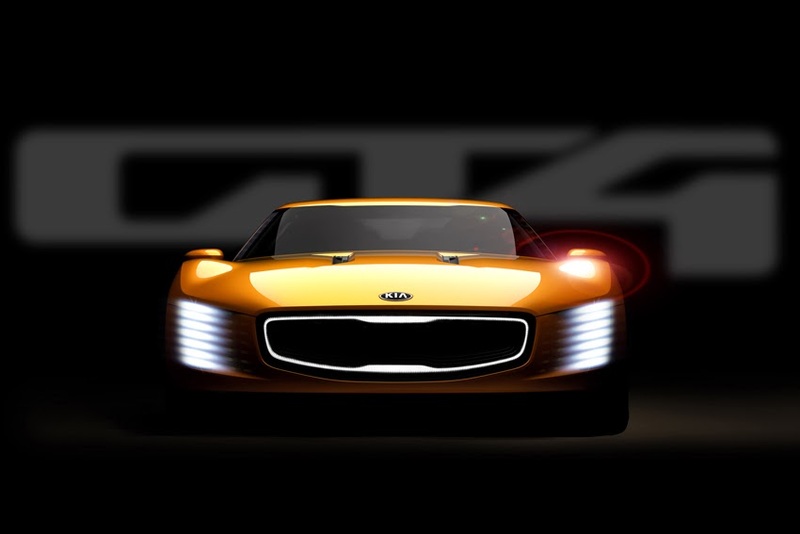 The Kia GT4 Stinger concept car is set to make its debut at the North American International Auto Show on January 13, 2014. The surround glows white and is flanked by vertical LED headlamps. Front-brake cooling vents funnel air around 20-inch wheels whilst a carbon fibre front splitter mounted below the bumper provides added downforce. Powering these low-slung, sleek lines is a 2.0-litre turbocharged engine that provides 315 hp to the rear wheels.